Kaya, Kaya, Kaya...We couldn’t be more stoked to have, arguably, the best female slope-style skier in the world complementing her style in the air with some style in her hands. This 8-time X Games Champion (the most in the history of the sport) first took some Grass Sticks for a spin in December of 2015 and has been using them ever since. When she’s not competing on the world stage she can be found tearing up her home mountain, Mammoth or relaxing back in her hometown of Montreal. Check out Kaya's website for a complete list of all of her incredible accomplishments. What can we say about Sebastien? Oh we know, HE GOES BIG!!! Mr. Varlet has worked his way to No. 1 on the Freeride World Qualifier Circuit, due to huge lines like this 1st place run in New Zealand (September 2015). Go along for the ride with Sebastien as he travels the world this winter, whether he's throwing a daffy off a 60 footer in the Alps or a double back flip in the glades of Japan, he does so rocking a sweet pair of Grass Sticks. Ranja's love for big mountain riding and steep descents became apparent when she was just 3 years old. That love is continually evolving in the form of beautiful free-ride skiing. Keep up with her gnarly lines through her exciting Instagram page. This dual-sport athlete (she's an extremely accomplished kite-surfer) hopes to find skiing freedom throughout France, Switzerland, and Alaska in the coming seasons. We can't wait for her to take some Grass Sticks along for an entertaining international ride!. We are stoked to introduce our youngest member of the Grass Sticks pro team, Bodhi Yang. Bodhi is 12 years old and what he lacks in size he makes up for in raw talent and passion for all things winter. He is ranked #2 in the country after finishing 2nd in the 2018 IFSA Big Mountain Comp. When he isn’t honing his skills on the mountain he spends his time making conservation films like Make Winter Great Again, with the hope to “show people that kids care too” and hopes that his film will “change people's thoughts and actions”. We are excited to see Bodhi grow in his sport and his passion for conservation and education. Payyyytttooonnn!!! This kid is on the up and UP! Along with being an incredibly nice guy, Payton throws down for his age. Last year he won the USASA National half-pipe competition and placed 2nd in slopestyle for his age group. We don't want to brag or anything, but check out how sweet Grass Sticks look while Payton takes em' for a high-flying ride in his 2015-2016 edit. 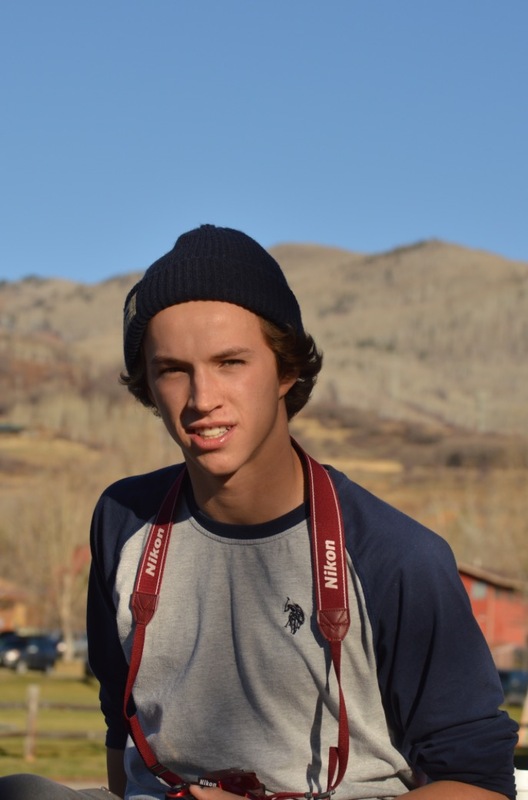 The city of Steamboat will be sad to see him leave this season as he moves to Park City, Utah to train for the Revolution and NorAm tours this winter. Contact Us - We love to chat!